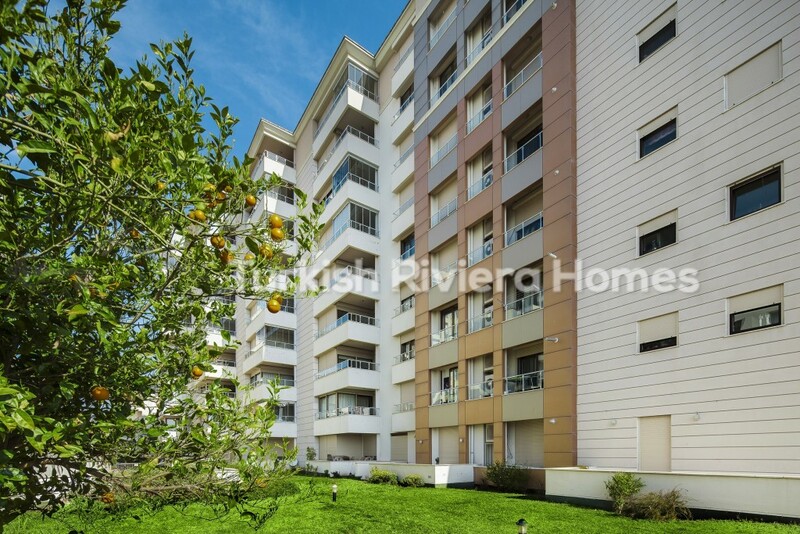 This is a luxury complex and has everything you need to invest in some of the best properties in Antalya today. 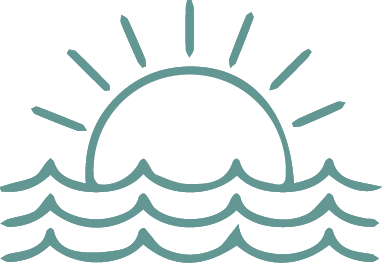 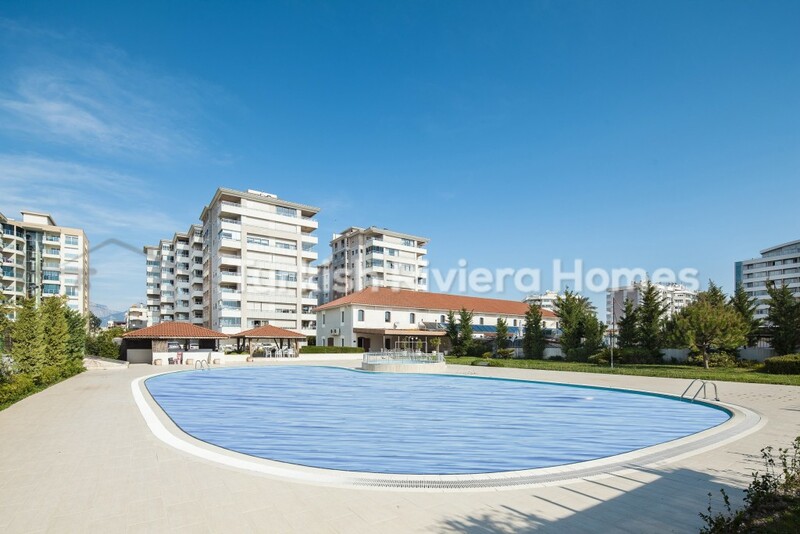 Located right besides the sea and beach, the apartments are only going to increase in value, making these properties a good investment. 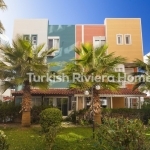 If you are seeking to buy an apartment that is located directly in the first line to the sea, and is found inside a complete complex designed to the best standards in Antalya and Turkey then this apartment is the perfect choice for you and we will be happy to help you buy luxury homes such as this one in Antalya. 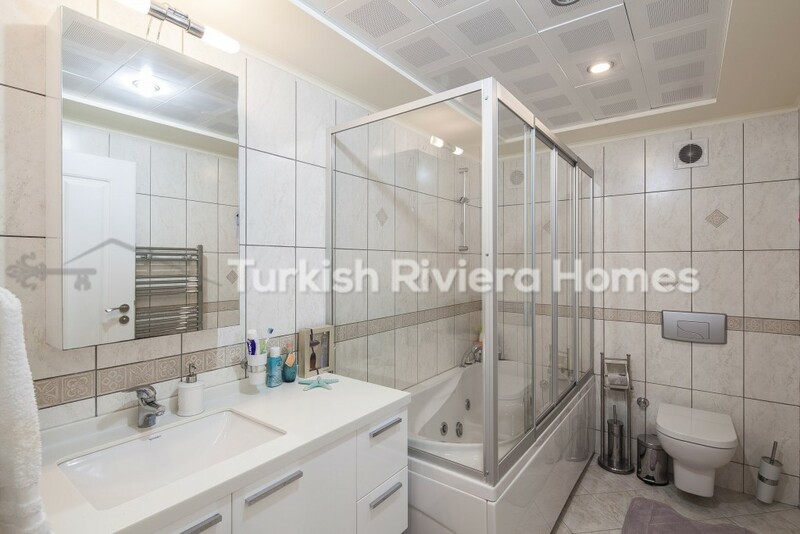 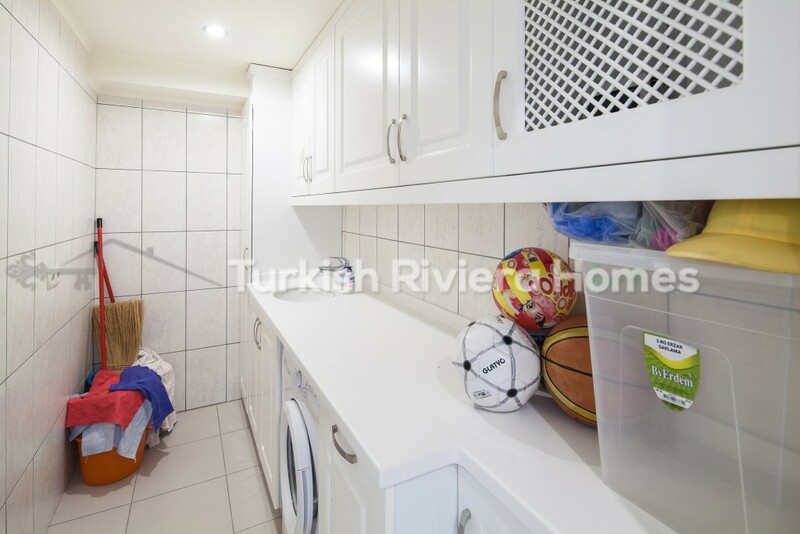 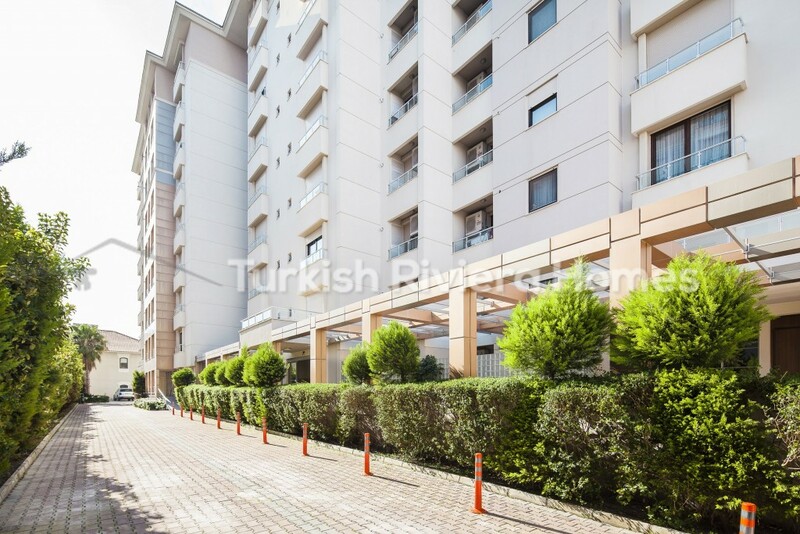 The apartment is found on the first line to the sea and is located within a prestige area where rich neighbors and the elite class of Antalya tend to live with the family. 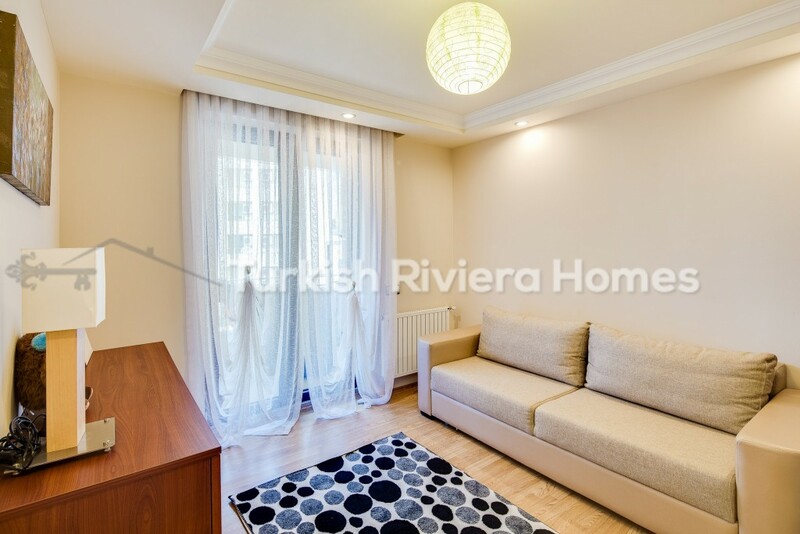 Just in front of the sandy beach, you can walk from your home to the beach in a matter of minutes and enjoy one of the cleanest and most popular beaches in the Antalya region. 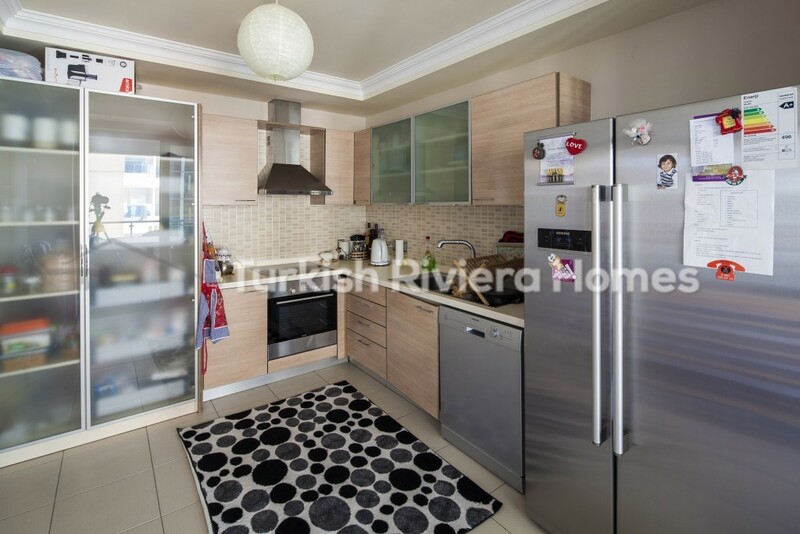 Konyaalti is one of the most beautiful areas in Antalya and is known as a safe and friendly destination to bring your family up by the beach. 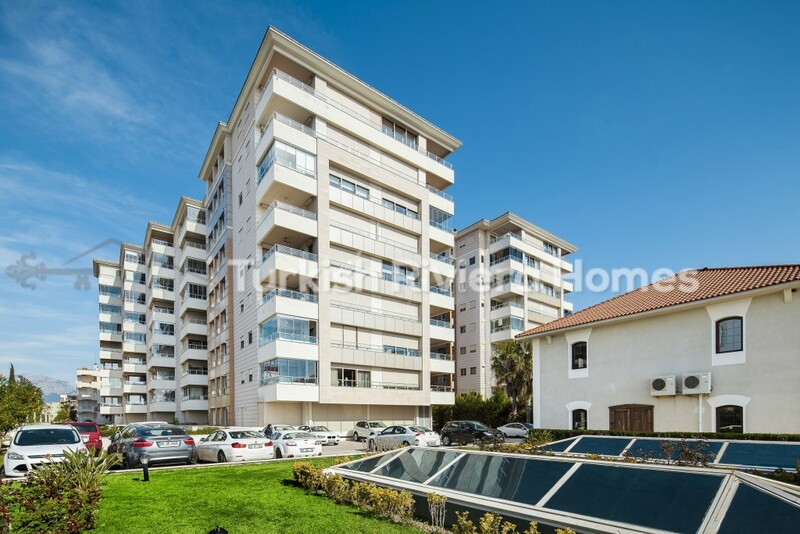 Close to your apartment there are lots of cafes, restaurants, schools, bars, and shopping areas. 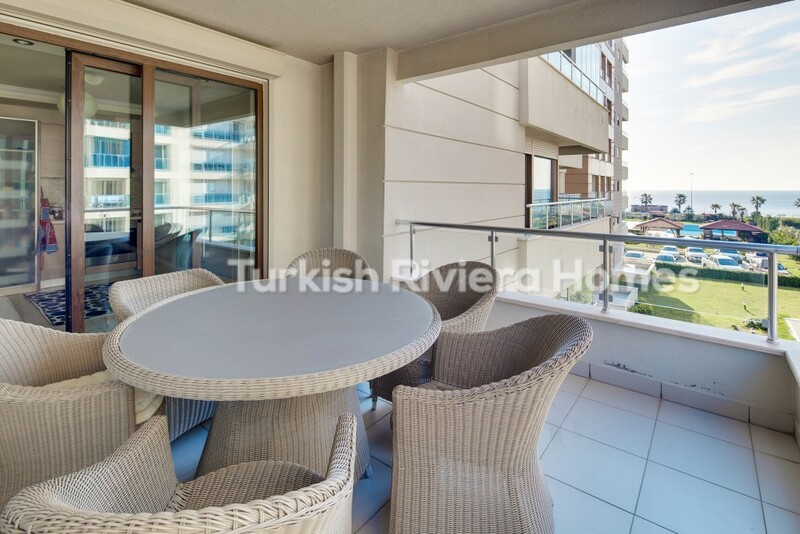 The apartments have some of the best sea views and have been designed to a very high luxury standard in Antalya. 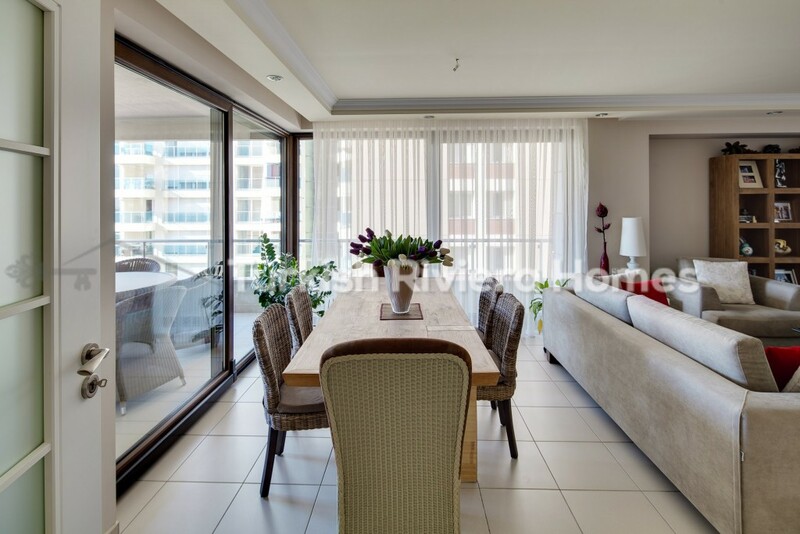 When you enter the home there is 154m2 living space, and that is split over two bedrooms and two bathrooms, a living room, and kitchen. 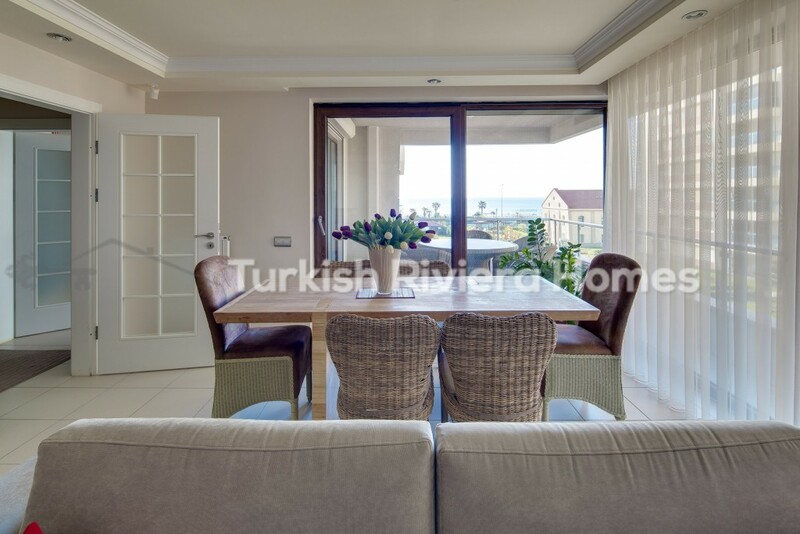 The kitchen is separate from the living room and is fitted with white goods, while the living room has a wonderful sea view and view over the gardens below. 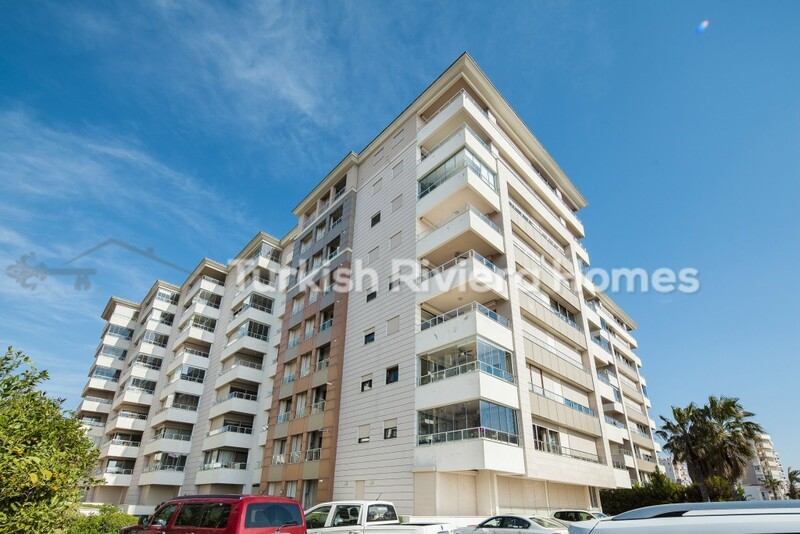 Air conditioners and radiators are fitted in every room. 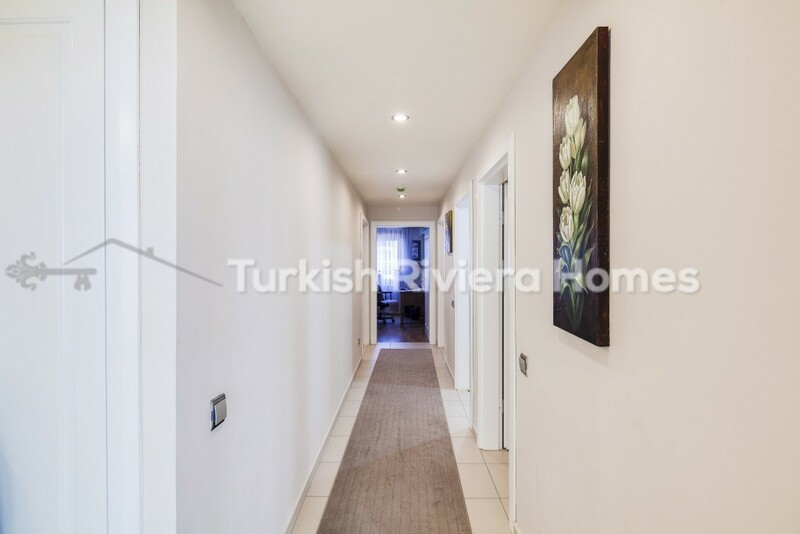 The apartment complex has been designed to high standards and has a high degree of communal areas and facilities for people who own a home here. 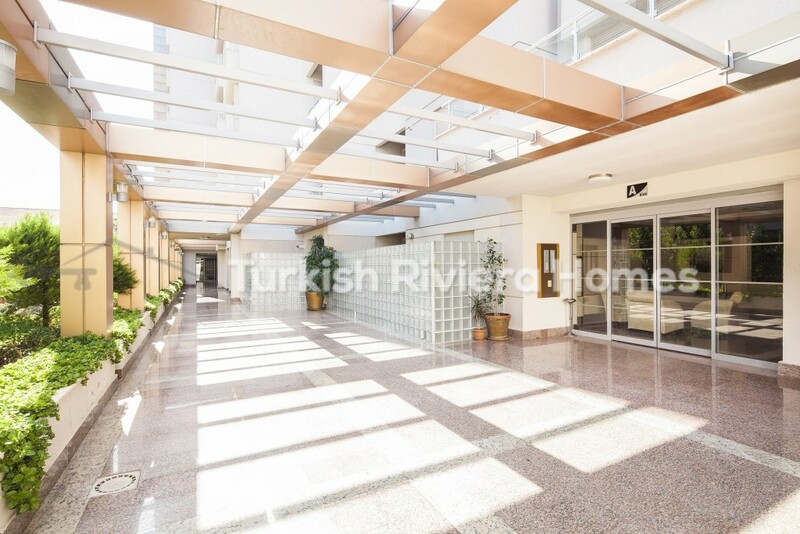 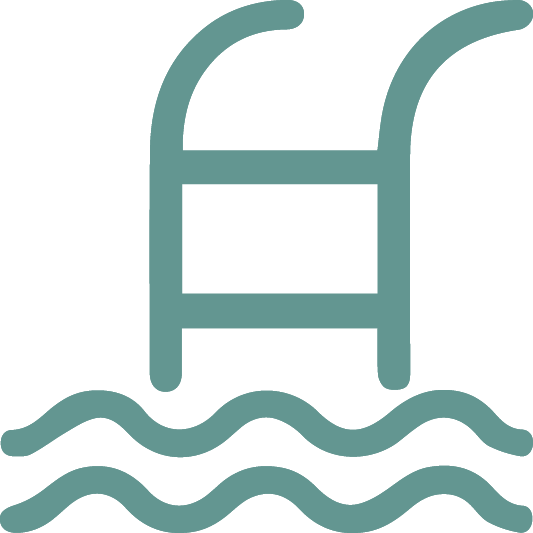 These facilities include a large shared swimming pool, Turkish bath, sauna, playground for children, fitness, games room, underground parking, and lots more.